philosophy. Our own body, our own heart is our temple. ﻿"Elizabeth is awesome!.... she has great energy. Her classes are challenging and the pace is perfect. I'm actually more limber than I was in high school and my lower back is happy again." Mark W.
"Elizabeth's class creates a perfect balance for me between spiritual re-centering, physical challenge, and mental awareness throughout. I always leave the class in a renewed state; far better off than when I arrived." Jenna P.
Please read below for in depth class descriptions. Scroll down further for information about retreats and workshops. The noon class I teach at Sukha Yoga is a Mindful Flow class. This class is focused on flowing through a Vinyasa practice with attention on alignment and breath. We always begin with a few minutes of quiet seated or reclining meditation. There is a theme that will be revisited throughout the class i.e. compassion, simplicity, or other teachings from Buddhist wisdom traditions. 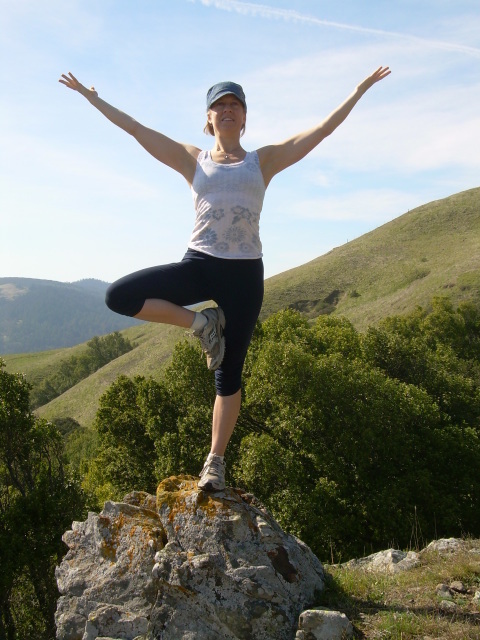 We will activate our prana, or energy, with strengthening sequences and standing and balancing poses. As the Vinyasa practice winds down, we then melt into a quieter, more internal space toward the end of class. After our hour yoga class, we will have 15 minutes to meditate with guidance. Open to all levels of experience. I also teach a conscious birth prep workshop at Pomegranate approximately every 6 weeks called Prenatal Partners. This 3 hour class is a special time to come together with your primary support person and join as a team with a shared vision and intention. We go over positioning, coping techniques, acupressure, massage, and other natural methods of meeting labor. Check Pomegranate's website under workshops for upcoming dates. I also teach this class privately upon request. The Sunday evening class I teach at the Embrace Yoga is a mindful, slow class called Restore and Renew. We move through a gentle warm up with rhythmic movements to open the spine and major joints of the body. There will be plenty of time to also relax in Yin and Restorative poses which work on the deeper layers of connective tissue and postural re-balancing. This style of yoga practice fosters complete relaxation, rejuvenation of the nervous system, and mental and emotional peace. Come prepared to slow down and cultivate awareness of your body as well as the subtlety of your breath in this serene studio/temple space. Beginners, seniors, those with injuries, or anyone who needs to decompress are welcome! ​Click on the box above or go to www.embraceyoga.com for more info. The Tuesday evening class I teach at Embrace Yoga is the same as the noon class I teach at Sukha Yoga. ​See the class description to the left. My 5pm Restorative​ class on Fridays at Yoga Mountain Studio is the same as the Sunday evening class I teach at Embrace. See class description to the left. Come check out this replenishing class located in a beautiful studio with ample sunlight and views of their lush backyard garden. I always offer modifications if needed so all abilities are welcome. ​Click on the box above or go to www.yogamountainstudio.com for more info. ​I also teach private yoga sessions for those who want a more in-depth approach to their practice. Those with limitations either from injury or illness are encouraged to come to a private class to address proper ways of modifying poses to prevent confusion or strain. Even if you have a strong and alive practice and have been taking classes for many years, a private session can be the perfect motivation needed to take your practice to the next level and make sure you aren't furthering certain habits. Also, those who are new to yoga are especially advised to schedule a private yoga session so that the fundamentals of proper alignment can be learned from the very beginning. This photo was from my daylong retreat at Green Gulch Zen Center in Muir Beach, CA in July 2016. 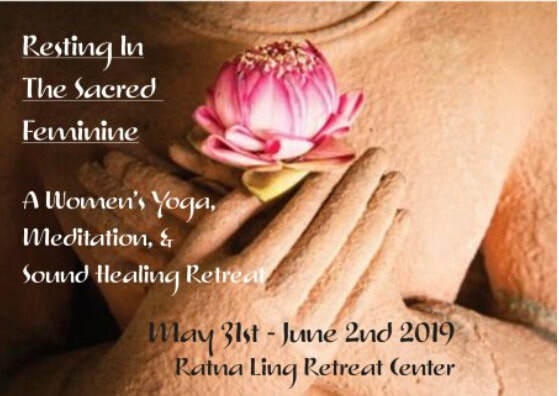 I am offering this retreat again on July 13th 2019. Take time to dive deep into your Body, Breath, and Heart. The opportunity to step out of the regular rhythm and flow of your life and into the peace of a full day of practice is a precious gift. The beauty of the land and the joy of being held within the sacred container of a retreat center will add to the potency of our time together. The day will include a moderate 2 hour morning yoga flow with a 20 minute period of seated meditation at the end. We will then break for lunch where you will have plenty of time to relax in the gardens, enjoy tea by the pond, or take the 15 minute easy walk to Muir Beach via the path through the vibrant Green Gulch organic farm. The last 2 hour session will include yin/restorative yoga, pranayama ( conscious breathwork ), 20 minutes of meditation, and sound healing and chanting with Barbara Juniper. We will gather in the zen-inspired, light-filled Stillwater Hall which comes with all the yoga props we will need for the day. Open to all levels of experience. Modifications will be given for those with limitations or injuries. Spend the weekend with Barbara Juniper and I at Ratna Ling. We will practice daily, gentle Dharma yoga and Tibetan meditation. We will also enjoy Barbara's beautiful sound healing. Please contact me if you'd like to register. Come enjoy connecting with the expansive blue skies, the vibrant flowers, and warm Summer afternoons as you move and breathe in your yoga practice.